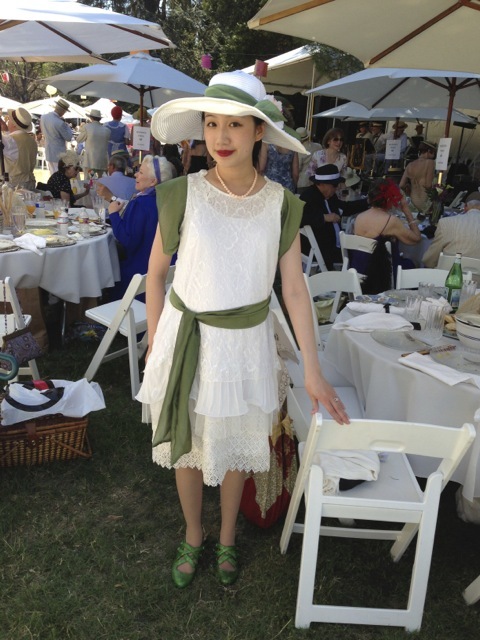 Last week I went to the Gatsby Summer Afternoon, a yearly event put on by the Art Deco Society of California. The dress code is 1920s or 1930s summer daywear. You’ll see a lot of dropped waists, flowy chiffons and fabulous hats! Being pregnant I couldn’t fit my dress from last year, and I didn’t want to spend too much time making a dress that would fit me for such a brief time, so I decided to modify an existing dress. Posted in 1920s, Gatsby and tagged costume, Gatsby, sewing. Bookmark the permalink.